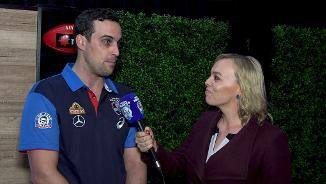 Powered by Mercedes-Benz Vans, BulldogsTV reporter Annie Kearney spoke to Herald Sun Journalist Sam Landsberger at the 2018 NAB AFL Draft. 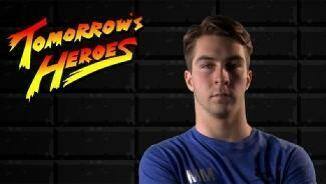 The West name to play alongside Dale Morris once again. 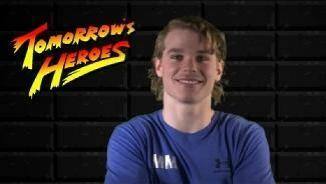 Jordon Sweet believes he will provide the aggressiveness and mobility needed to satisfy his new club. 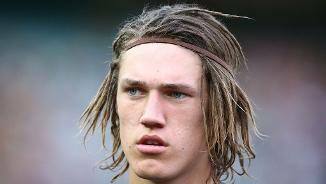 Bulldogs draftee Lachie Young was watching Netflix when his name was read out. 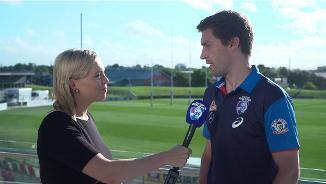 Western Bulldogs’ 10 new recruits have been presented with their new guernsey numbers for 2019. 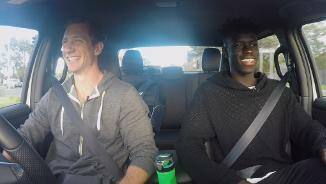 Will Hayes was tucked up in bed when his AFL dream was realised. 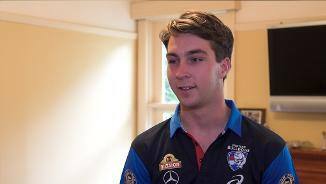 Ben Cavarra knows the highs and lows of the AFL draft period well. 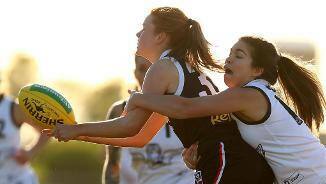 Draft haul a success for Club's development pathways. 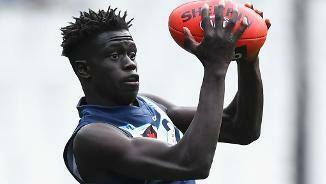 The Western Bulldogs have added eight new faces to its playing list via the 2018 NAB AFL National and Rookie Drafts. 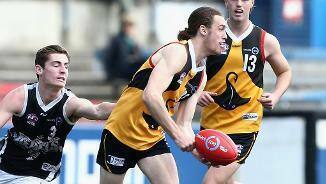 Crafty 202cm ruckman Jordon Sweet is the Bulldogs' second and final selection in the 2018 NAB AFL Rookie Draft. 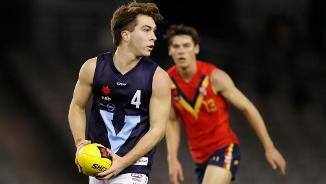 Rebounding defender, and Dandenong Stingrays premiership player, Lachlan Young has been taken with the Bulldogs' first pick in the 2018 NAB AFL Rookie Draft. 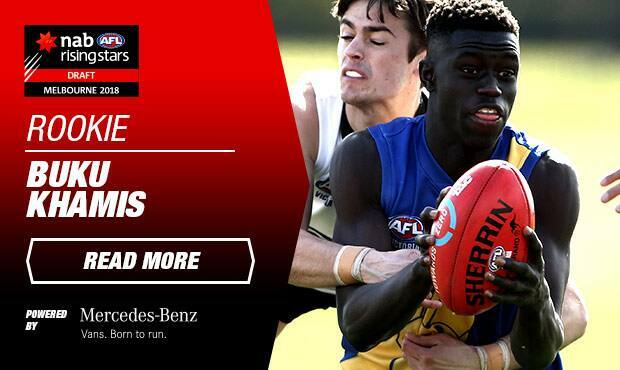 The Western Bulldogs have snared exciting young talent Buku Khamis as a pre-selected rookie for the 2019 season. 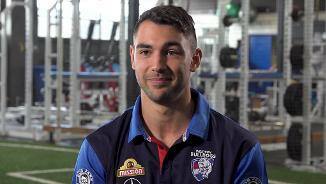 Footscray Bulldogs best and fairest winner Will Hayes gets his chance on an AFL senior list, taken with the Bulldogs' final selection. 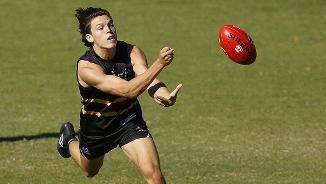 Mature-age small-forward Ben Cavarra is now a Bulldog, taken in the third round of the 2018 NAB AFL Draft. 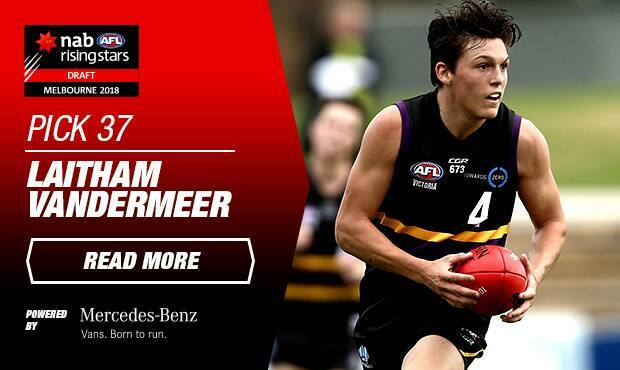 A line breaking half-back, get to know Bulldogs second round selection Laitham Vandermeer. 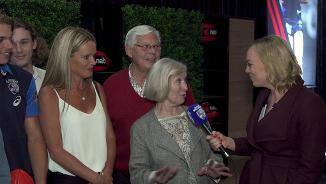 AFL Media Draft guru Callum Twomey assessed Bailey Smith leading into the draft. 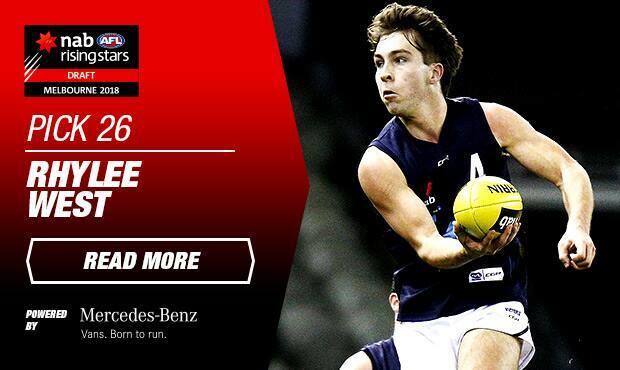 Experts have their say on our pick in the 2018 NAB AFL Draft, Bailey Smith. 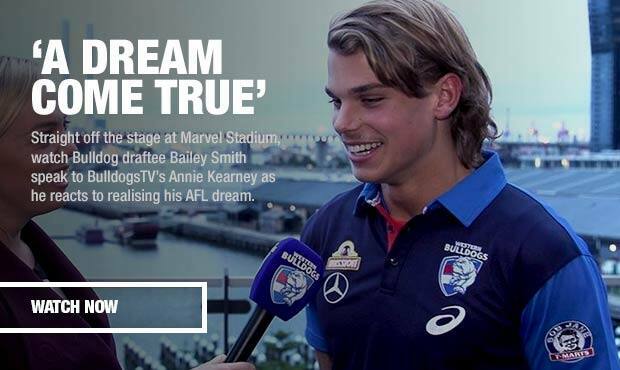 Discover more about the Bulldogs' first round draft selection, midfielder Bailey Smith. 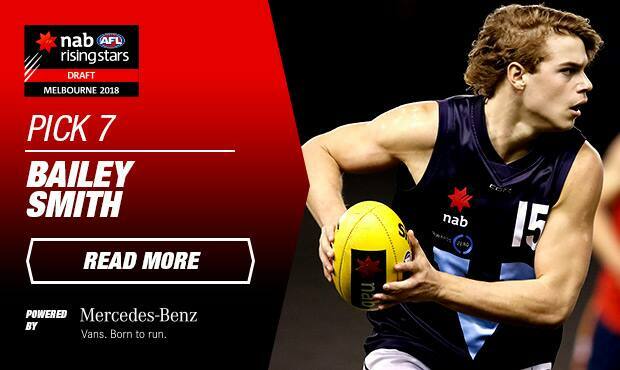 Who will we take in the NAB AFL Draft? 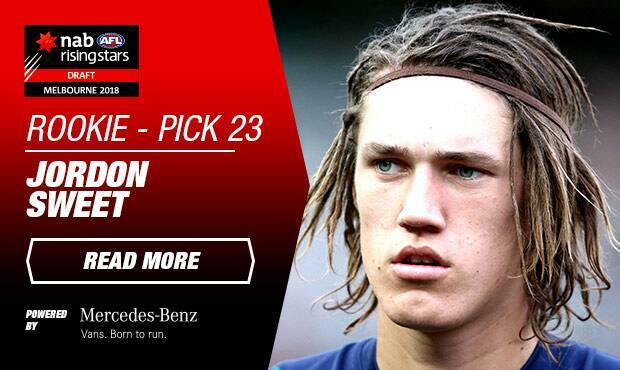 AFL Media makes their prediction. westernbulldogs.com.au narrows down some of the all-time best players picked with selection seven. 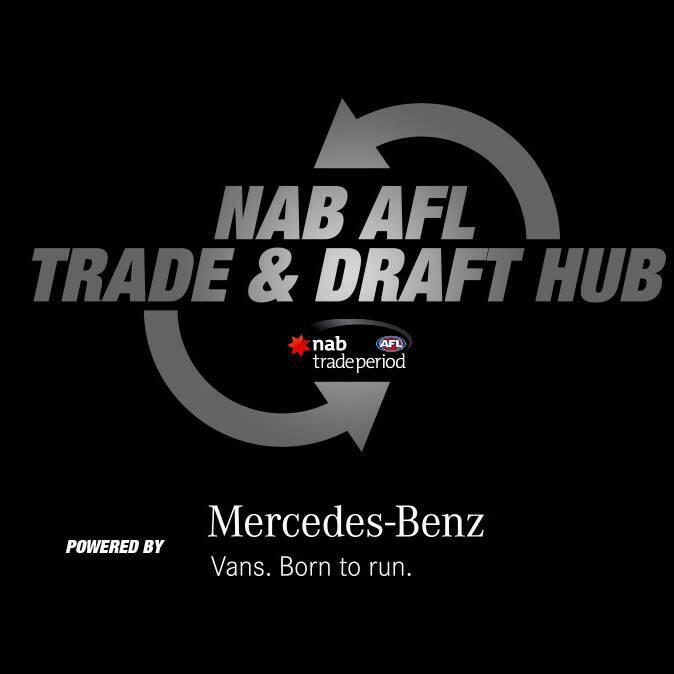 westernbulldogs.com.au looks at the drafting of Brian Lake at pick 71 in 2001.
westernbulldogs.com.au profiles draft steal, Daniel Cross. 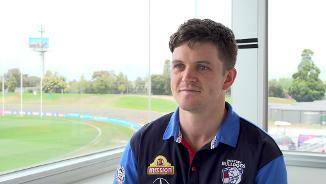 westernbulldogs.com.au profiles pick 66 in the 1999 AFL Draft, Ryan Hargrave. 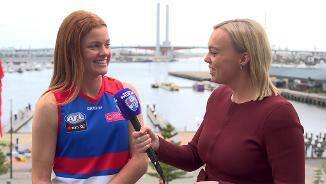 Lindsay Gilbee is next up in our list of Bulldogs draft steals. westernbulldogs.com.au profiles selection of Danny Southern in 1992.
westernbulldogs.com.au profiles some of the Club’s best late picks. 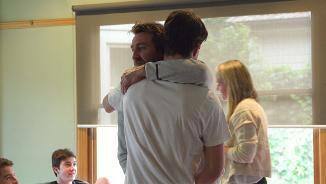 Why Ben Hudson's final game wasn't the last goodbye. Tom Campbell and Mitch Honeychurch have not been offered new contracts for the 2019 season. 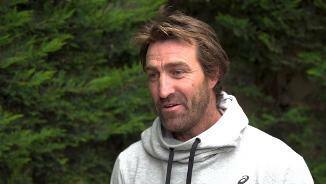 Paul Groves is buoyed by the potential of the latest crop of draftees. 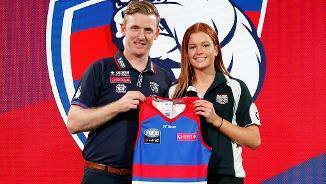 The Bulldogs have added five new players to its list in the 2018 NAB AFLW Draft. 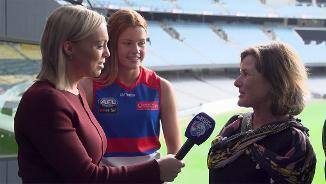 Eleanor Brown was selected at pick 10 in today’s 2018 NAB AFLW Draft. 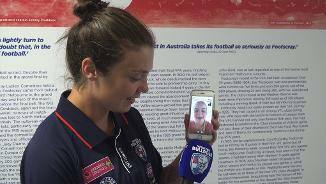 The Western Bulldogs are well placed to secure a new crop of young stars in this year’s NAB AFLW Draft. 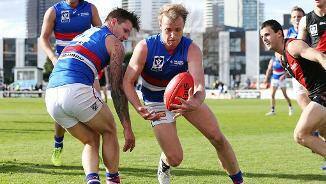 A breakdown of the Bulldogs’ result in the NAB Trade and Free Agency period. 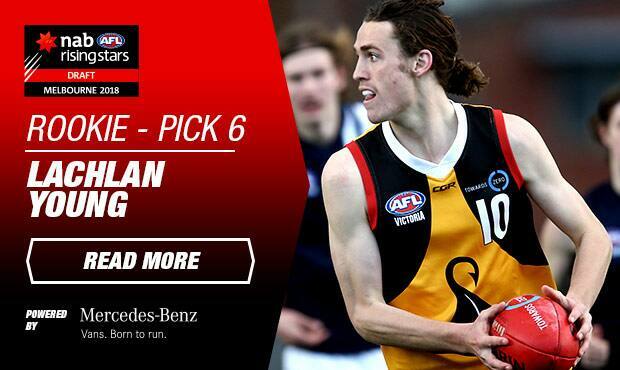 Keep up to date with all the movement on the indicative draft order. 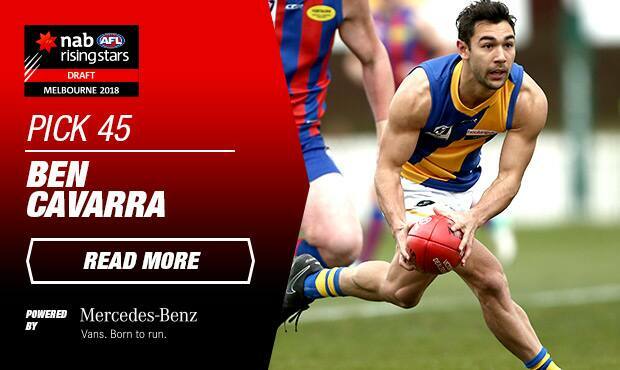 The Western Bulldogs have traded Marcus Adams to Brisbane in exchange for pick 32 and a future third round. 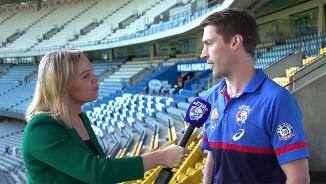 Ahead of the 2000 season, Nathan Eagleton arrived at the Western Bulldogs. The Bulldogs will head to next week's AFLW draft with picks 10, 23, 26, 34 & 36. 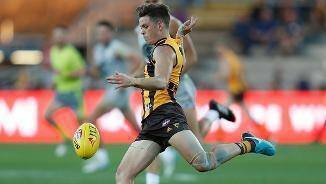 Taylor Duryea has been traded to the Bulldogs from Hawthorn. 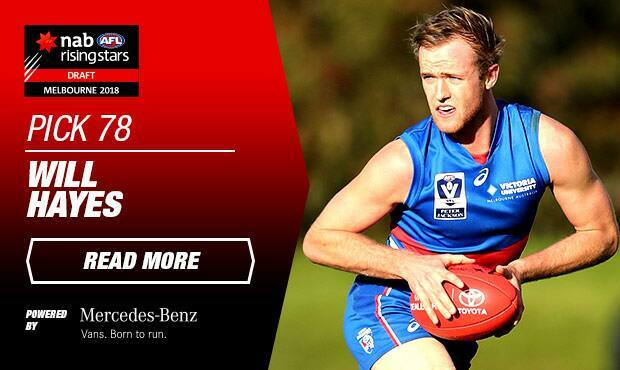 westernbulldogs.com.au has uncovered 10 facts about the Bulldogs’ latest signing, Taylor Duryea. Former GWS Giant Tom Boyd arrived at the Club during the 2014 Trade Period. 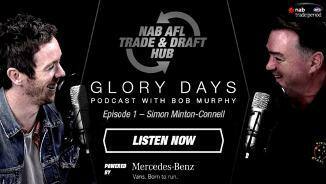 GM of List and Recruiting, Sam Power, provides an update ahead of the final two days of the Trade Period. 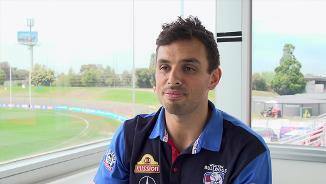 The Bulldogs have secured the services of experienced forward Sam Lloyd. 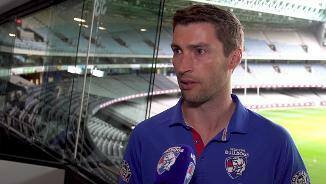 Chilean Jose Romero arrived at Whitten Oval at the start of the 1995 season. In 2009, Barry Hall nominated the Bulldogs as his club of choice. 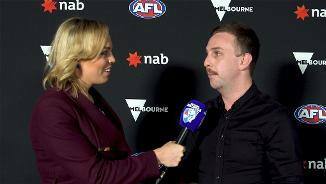 Matthew Suckling comes in at number 8 in the Best Bulldogs Arrivals. Ben Hudson comes in at #9 in the Best Bulldog Arrivals. Coming in at No. 10 in Best Bulldogs Arrivals, Shane Biggs. 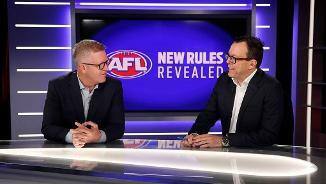 The Club is maintaining an open-minded view as it enters the official NAB Trade Period. Western Bulldogs receive a second-round selection as compensation for losing Luke Dahlhaus. 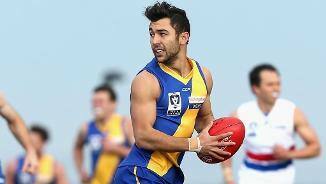 The Western Bulldogs have confirmed interest in securing Port Adelaide star Chad Wingard. Bulldogs hosted its Next Gen Academy (NGA) & future father-son candidates for physical testing & bonding. 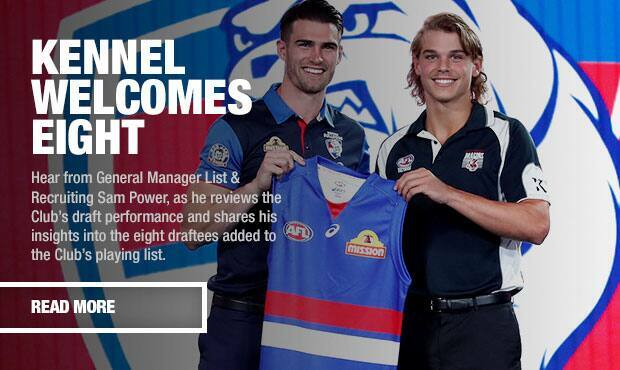 Help decide which Bulldogs recruit has had the biggest impact. 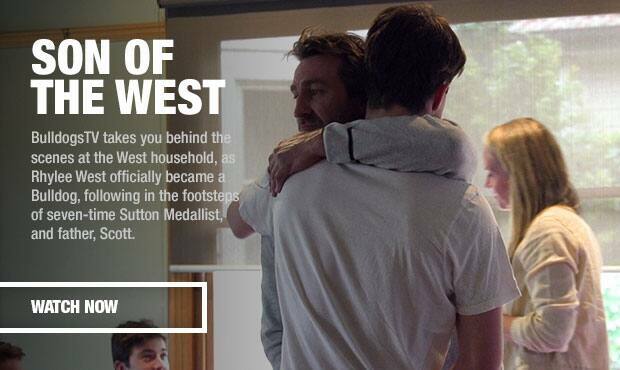 westernbulldogs.com.au is on the hunt for our best Bulldogs Arrival. 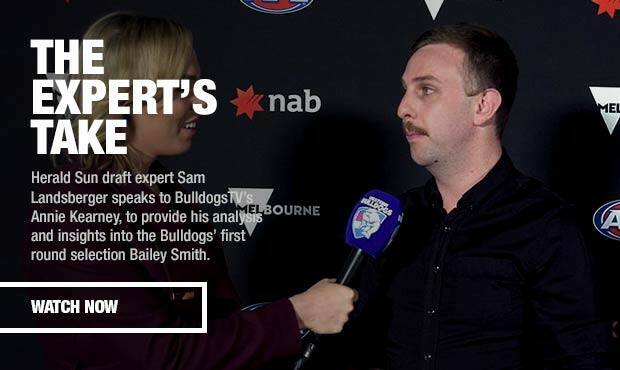 westernbulldogs.com.au is on the hunt for our best Bulldog arrival. Key dates to look out for as the Bulldogs’ 2019 playing lists take shape. 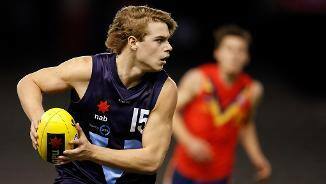 The NAB AFL Draft order has been set after Saturday’s Grand Final. Draft | "We're very proud"
Duryea: "I just love their energy as a young group"
Lloyd: "I've felt really comfortable coming in"